With Paypal being eBay’s favoured payment option, as well as with 240 million people around the world using Paypal to effect money transfers, it is highly improbable that any online gaming enthusiast would never have heard of the financial giant. It is perhaps the most recognised and widely used financial service on the web. Paypal offer a number of financial services, but this review shall focus on making deposits to and withdrawals from online casinos. Regrettably, gambling related transactions via Paypal are not open to everyone; those living in the USA, Canada and Australia for instance, cannot make use of the service for online casino banking. Paypal’s prevalent use in the rest of the world however means that one would find a wealth of online Paypal casinos to choose from, granting players the freedom to pick one that suits their specific requirements. 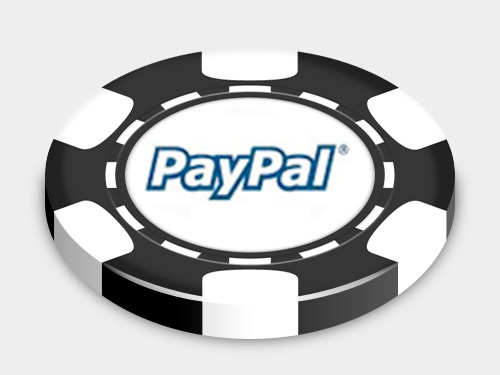 Making use of Paypal to effect casino transactions is as easy as it is safe. If you do not have a Paypal account registered to your name, the first step would be to register one on Paypal’s website. This is a simple process which only takes a few minutes to complete. You would be required to attach a bank account to your Paypal account. Your bank account would be used to fund your Paypal account as well as make withdrawals from that account. When it comes to making deposits to your online casino account using Paypal, all you have to do is choose Paypal from the cashier option at the Paypal casino of your choice. This would prompt a log-in facility, which you’d have to fill in using your Paypal account information. It is then just a matter of indicating the amount you wish to transfer from your Paypal account to your online casino account and that should complete your deposit. Since Paypal is effectively an e-wallet, you would not be required to surrender your personal bank details to the casino. Note that Paypal doesn’t charge users for making payments, but some banks might charge for processing Paypal transactions, so always inquire with your bank about fees beforehand. Withdrawals, are not always possible through Paypal. This depends on the casino, so players are urged to check whether their casino of choice allows both deposits and withdrawals using Paypal. This also depends, as stated earlier, on your country of residence. Cashing out with Paypal is as straightforward as cashing out with any other method. Select Paypal as your withdrawal option, indicate the amount of your withdrawal and simply wait for the transaction to clear. Transfer times comprise one of the advantages of banking with Paypal. E-wallets in general are known for their fast transaction time when compared to traditional banking methods and Paypal is, after all, an e-wallet. Players should allow one to two business days for withdrawals to actualise in their personal bank accounts, whilst deposits are normally instantaneous, having players playing within a few minutes of the transaction being effected. Paypal’s customer support is second to none. The company offers phone and e-mail support directly to its customers and displays all the related information on its official website. This is a relatively quick service as it is, but with Paypal’s prioritisation of existing clients through its one-time passcode makes the process even quicker (see ‘contact-Paypal’ on official site). The ultimate way to pay!